Enjoy a sandy, safe and tidal beach just 80 metres across the grass. Front row position. Lovely sea and summer sunset views from the dining table. Seaside children's playground is close by. There are some really nice and safe paddles within the bay, up two mangrove creeks as well as around the coast. A little under an hour north of Auckland, Campbells makes for a great escape place. By car, Matakana is 7 minutes, Tawharanui Regional Park and Sandspit both 15 minutes and Warkworth suipermarket 20 minutes. Listen to the gulls, bellbirds and tuis in the day time, kookaburras (true) at dawn and dusk and an owl at night. WALK at low tide straight to gather cockles, left around the rocks to the next (no name) beach, right past Baddely's Beachto Buckleton Beach and even further. You can walk for hours. 7 minutes drive to Matakana. Newly renovated, brand new kitchen and dishwasher, cosy and warm. The bay was perfect for kayaking or going for a swim. Short 5 min drive to Tawharanui beach, 10 min to Matakana. The Bach has everything you need to make a great vacation. Definitely 5 stars if the Bach was a bit cleaner when we arrived. Thanks for the opportunity to use your Bach David! We had a lovely two days here in January. Comfortable and clean. Close enough to Matakana by car to get supplies and to the regional park for some super walks. We would stay here again. Loved staying at this Bach. Had everything we needed for our week long stay. Very peaceful and relaxing location. Enjoyed using the kayaks to explore the bays. Thanks for sharing your place with us. Heaps of fun for kids kayaking in the mangroves. Great house. Loved it. Another lovely holiday at this clean, tidy and wonderfully located bach. 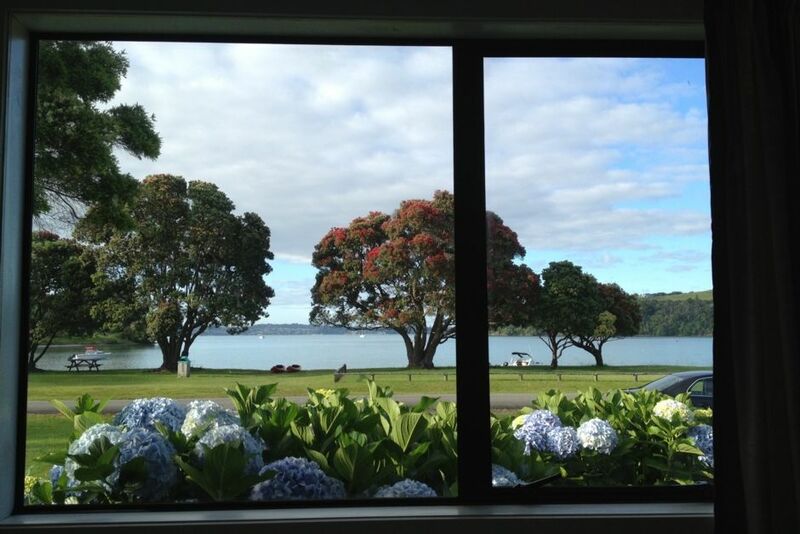 We love looking out at the pohutukawa trees to the beach and kayaking in the safe Campbell's beach waters. The recent addition of the extra railing on the back deck and handrail down the steps made life much easier for our youngest child. Thank you so much for sharing your bach with us again. We stayed here again for Xmas - restful and the bay with the many native birds is so special!